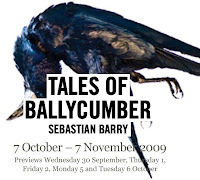 I went to see Sebastian Barry's new play - "Tales of Ballycumber" at the Abbey Theatre on Saturday night. Barry lives near Shillelagh - about four miles from where I grew up and his kids attend Carnew NS - where I also went to school. I had read previews and learned that the play is set in a fictitious Co. Wicklow townland between Shillelagh and Tinahely. I felt like I was at home during the play as the south Wicklow accents were delivered like natives. Stephen Rea is the star of the show - he never left the stage throughput the 1.5 hour play. 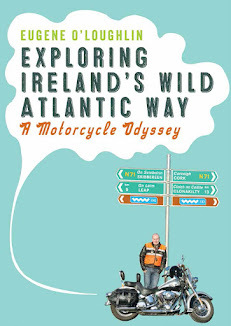 He had plenty of stories about the area that struck home with me - I loved every mention of Coolattin (where I play golf), and the references to the Fitzwillliams (Lords of the manor in Coolattin), Hacketstown, Humewood, as well as Shillelagh and Tinahely. I called Mum and Dad to check if the story about Lady Fitwilliam's husband eloping with John F Kennedy's sister was true - it was. It was a smashing play- Stephen Rea would make for a natural Tinahely or Carnew man. Difficult at times to accept the theme of suicide, but with a very simple set (daffodils throughout) it was a very entertaining evening.